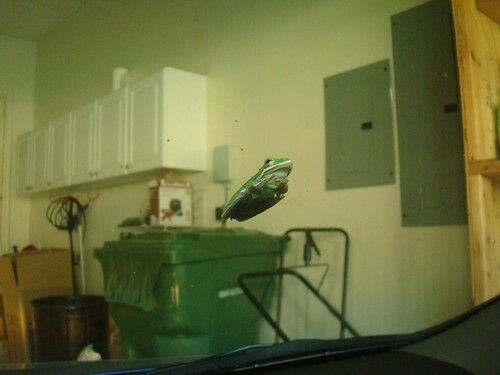 I was pulling into our garage today when I heard a "plop" and saw something largeish land on the windshield. Startled, I braked and took a closer look. 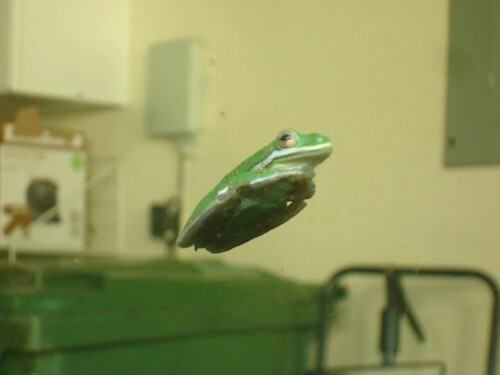 Heaven help us, it's raining frogs. After I parked, I stopped to get a closer look at the little guy. He seemed a little freaked out. 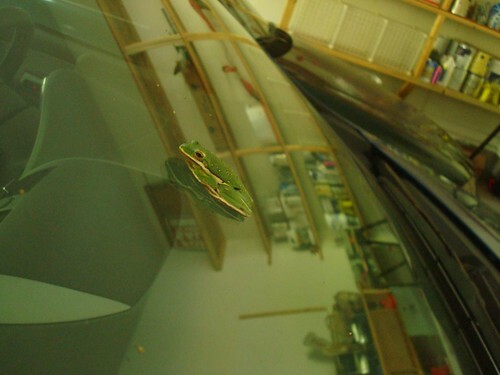 A few hours later, he had disappeared off the windshield so here's hoping he gathered his wits and hopped back outside.